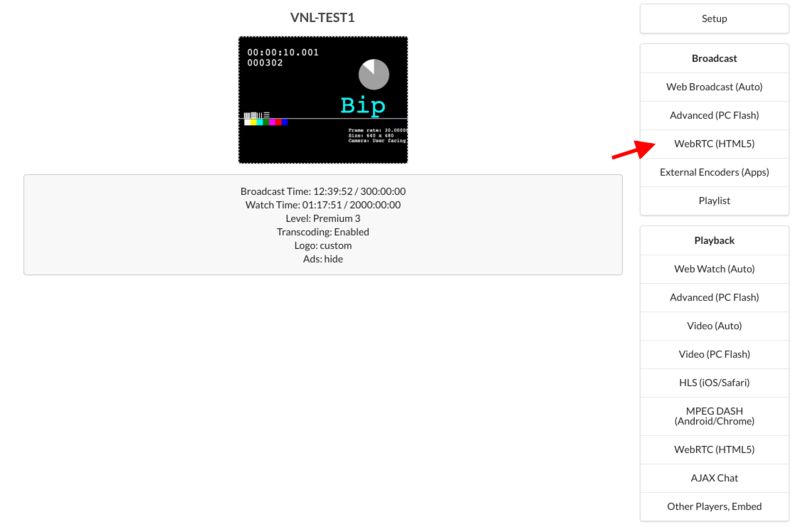 Setelah Pendaftaran dan login, setup a new channel from Siaran langsung Menu. 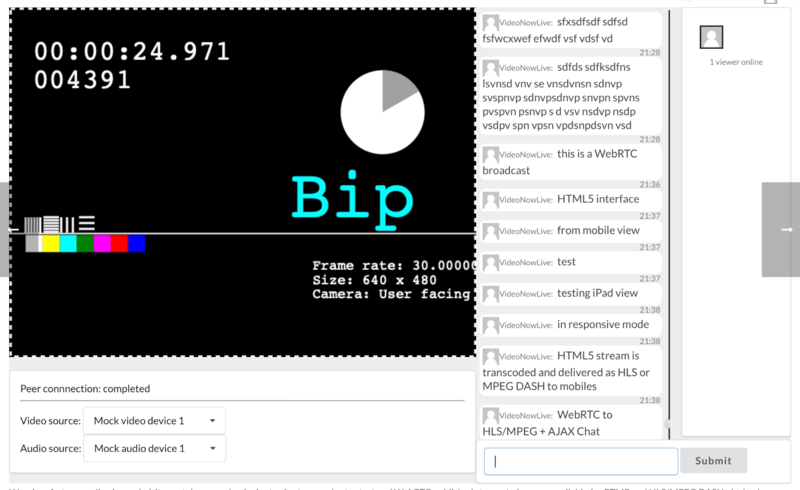 After enabling webcam, interface should look similar to this screenshot, taken from iPad simulator. 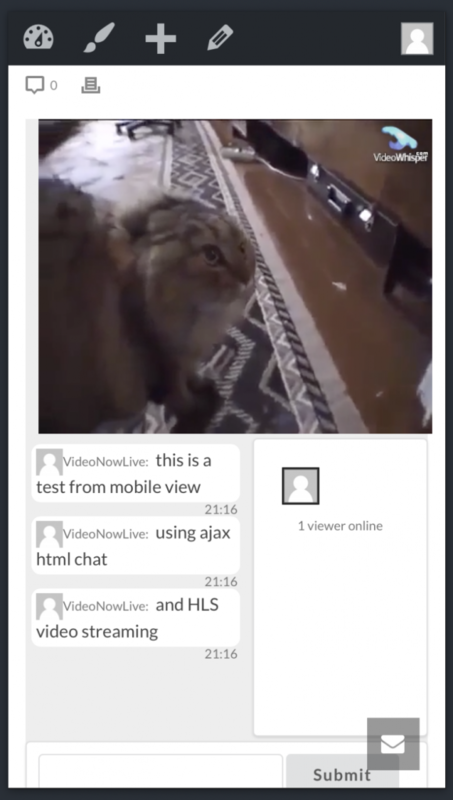 On narrow devices, chat will show under webcam preview. 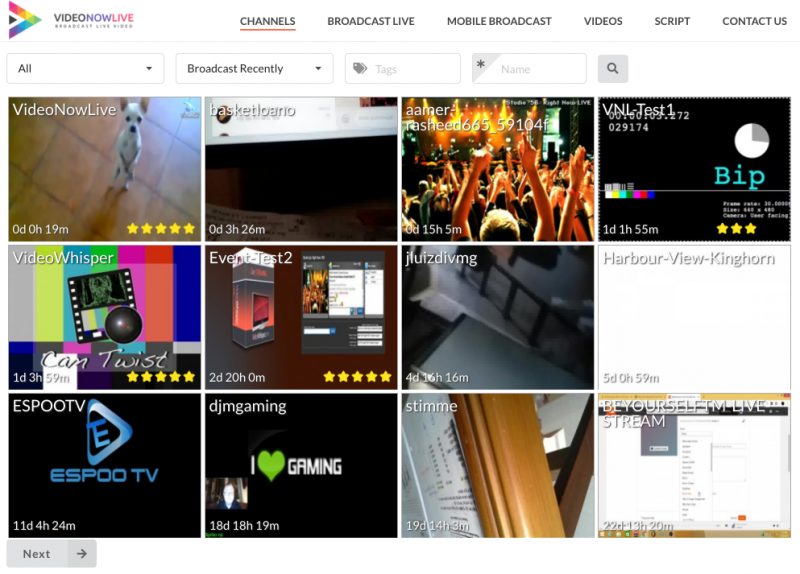 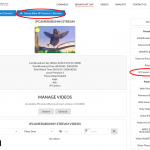 From another browser tab, device or computer, you can access Channels page (frontend site page) and select the live channel that is being broadcast.